Wisdom of Life. 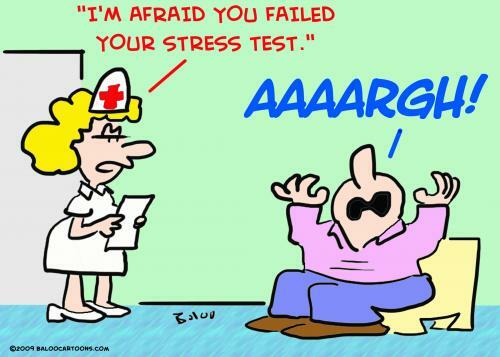 : What is stress? DO YOU WANT TO KNOW WHAT STRESS IS? A beautiful girl asks you for a ride home. On the way she faints and you take her to hospital. THAT'S IT. YOU GET STRESSED. .and to prove your innocence demand a DNA test. The police arrive, and a DNA test is done. The report comes in according to which you are infertile and can never become a father. WHAT? YOU GET EVEN MORE STRESSED!. Anyhow you thank God that this ordeal is over, and start driving home. ............ .. And then you start thinking; At home I already have 2 kids. NOW THAT'S WHAT REAL BIGGEST STRESS ACTUALLY IS!!!! !